MagicPix Pro Camera Chromecast is simply the most powerful and innovative camera app that will be the first choice for 100s of millions of users around the world! Completely redesigned SLR type user interface, Voice activated controls, Android Wear smart watch control for remote control of smartphone camera. 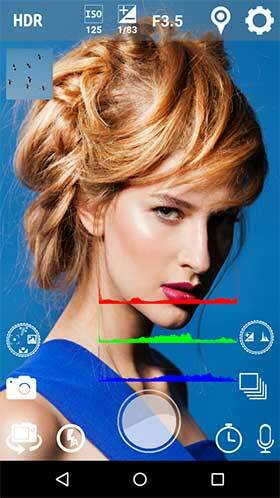 Live Histogram display option, Burst mode, Exposure control, color effects! Chromecast your pictures and videos to view on the big screen TV – Turn your old smartphone into a powerful security camera, baby monitor, or activity monitor!! No Ads. – Simple, uncluttered SLR camera type interface. Well designed icons that disappear to ensure maximum viewing area. Choose between Normal (NOR) or Professional (PRO) mode. – Use your Android Smartwatch to remotely control your smartphone camera and view your pictures. Mind blowing feature that allows flash control, camera switching, video/photo switching remotely from your smartwatch! – Chromecast your pictures and videos to a big screen Chromecast enabled TV or any device. With our free LiveView Video Casting app, view the smartphone video live on a Chromecast enabled device. – Voice-activated control for your smartphone camera shutter, switching camera mode, video/photo etc. – Better light performance: Take better videos utilizing built in camera flash for improved lighting. 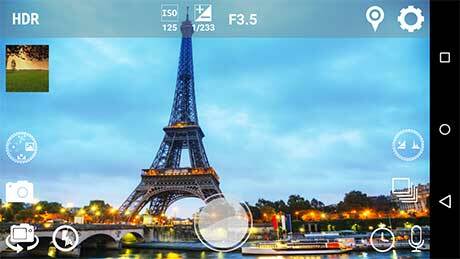 – Take pictures in HDR mode! – Zoom with pinch control. – Geotagging – capture geographic location on the pictures. 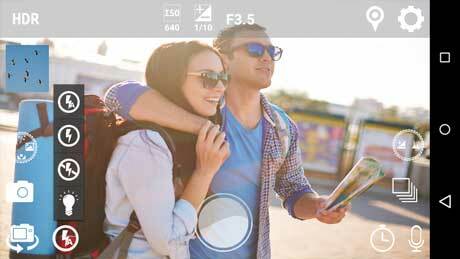 – Autofocus: Focus your pictures by clicking or tapping on the screen at the desired area. – Use a countdown timer including remote timer through smartwatch. – User friendly photo organization. Photos and videos are automatically classified into editable albums that can be edited by the user. Search and caption photos easily. Enjoy pictures in a slideshow. – Many additional features: Transform simple pictures or selfies into masterpieces using various professional quality photo editing modes, photo filters, white balance, color balance, sharpen and blur, photo frames. Instantly share using Email, Bluetooth, Google+, Facebook, Twitter, Tumblr, Google Drive, Dropbox, Instagram, Whatsapp and other apps that are installed on your phone.